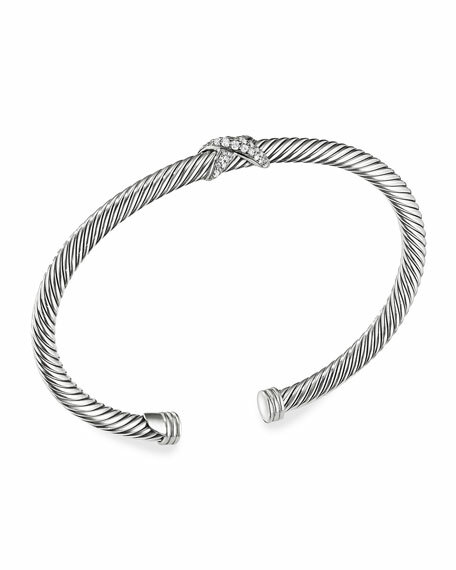 David Yurman bracelet from the Cable Collection. Sterling silver with signature cable motif. Naturally hued freshwater cultured pearls. Round white pearl ends with diamonds. 0.41 total diamond carat weight. Split opening for slip-on style. Approx. 7mm wide. Made in USA.